Starting a business is no mean feat, but if you're smart, dedicated and, most importantly, innovative, you can make it happen. 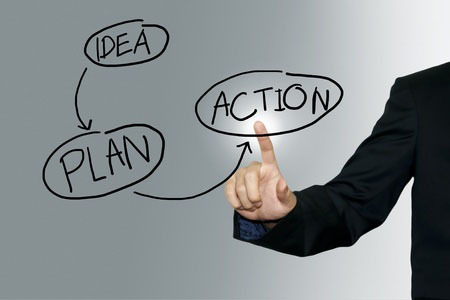 Creating a business plan is your essential starting point. It solidifies your ideas into a strategy guide for your future decisions. It serves as a pitch document for potential investors and the paperwork to secure a bank loan. And it contains the goals against which you measure your progress. For more advice on how to write a business plan, and where to find useful templates, you can visit the business plan page on Gov.uk. Investors expect exciting new businesses to disrupt (challenge existing business models) and innovate (find clever ways to meet consumer needs). You might think your idea does that, but the only way to know for sure is to test it, before adapting where necessary. That means researching your customers' needs, testing their responses to your product/service, dealing with the problems this inevitably throws up, and testing again. It's the only way to ensure that your business is viable and ready for market. Whether you're seeking big investment to cover vital setup costs or you're a tech entrepreneur playing with code on your own hardware, you need a budget that suits you. While you can find plenty of budget templates to accompany your business plan, you also need to stay on top of developments and make sure that your budget can be as flexible as your strategy. It's the only way to ensure your business is both earning and saving money. Money Dashboard's free, secure money management software can do just that. You can set your budgets and adjust them manually; label transactions according to the relevant business area or funding source; and automatically integrate new business accounts as you set them up. This gives you a clear, uninterrupted overview of your finances, all in one attractive space. Our service isn't the only source of support for your potential new business, and it's important to make use of them all. Approach government support services and grant providers, or industry specific bodies for help and advice. To secure funding, you can choose to approach banks, investors specialising in startups, friends and family or even crowdfunding sites like Kickstarter or Seedr. Find the right talent to support your venture, whether it's people who believe in you and will work for free, developers who will work for a stake in the business, or hired staff. The people you surround yourself with in these early stages are crucial to your success. As soon as your business is in place, you need to make yourself visible. After all, customers and clients can't buy what they can't see. Make the most of free promotional arenas. Facebook and Twitter are the tip of the iceberg when it comes to social media, look at everything from Pinterest to LinkedIn. Experiment - find the new big thing and don't be afraid to put yourself out there. Using the latest tools and constantly refining and refreshing your approach only reinforces your image as a disrupter/innovator at the forefront of your field. If you're starting a business, or have any more advice for anyone who is, please share your thoughts in the comment field below.